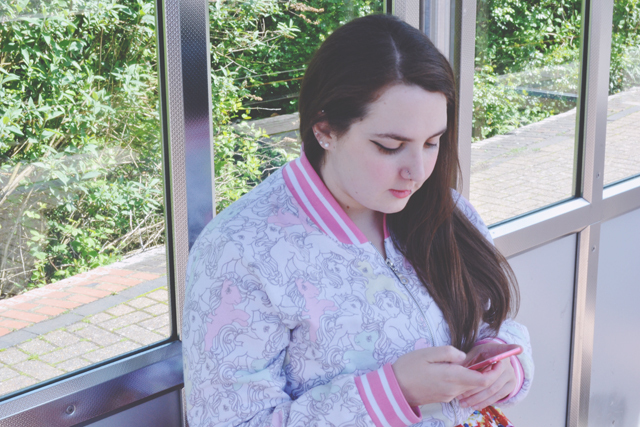 A year ago now, I published a post about organising yourself as a blogger. It went down really well, and I gained quite the reputation as a super organised time wizard. 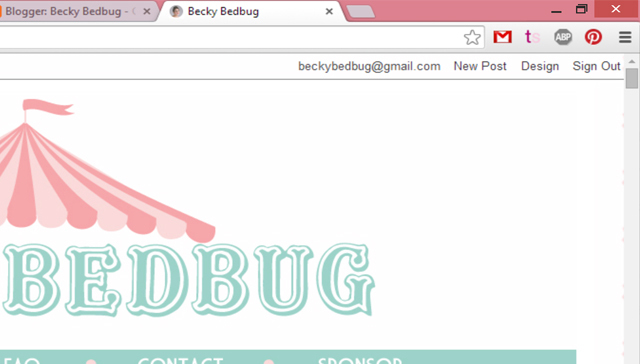 Anyone who knows me in real life knows that I'm the least organised person ever, but for some reason, my blog is the one area in my life that I manage efficiently. 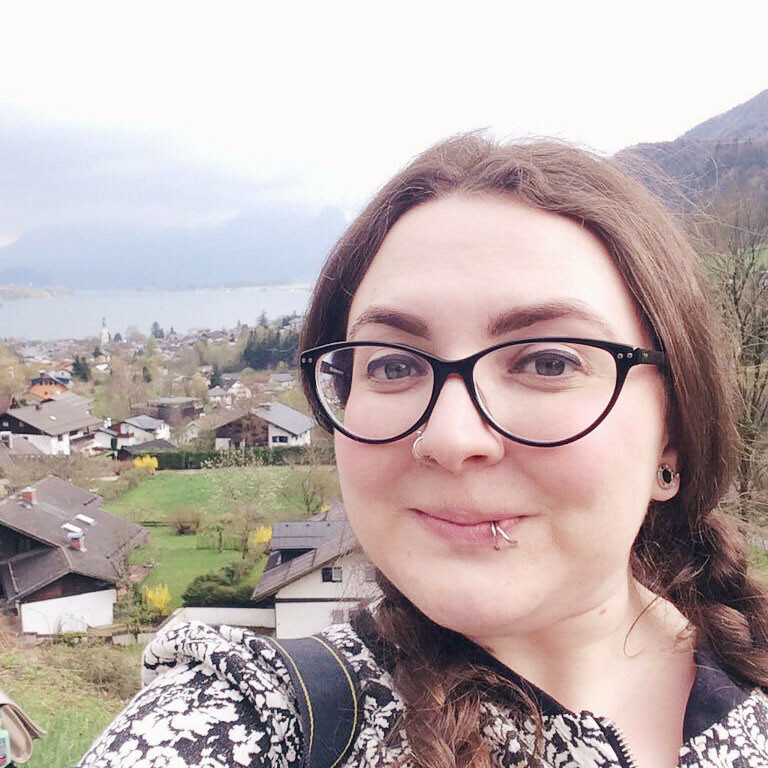 Emails are a bit more tricky for me and I was finding it difficult to keep on top of them, so I worked out a little system to help me organise them. None of this is particularly groundbreaking, and I don't claim to have come up with revolutionary ideas here. This is just how I manage my emails and I thought it might help others to share my system. I use Gmail for my email, so all of this advice is based around that. I'm sure there are similar features on other email providers though. This is my biggest tip. It has changed the way I use email and made everything so much easier! I have 4 main labels: Personal, PR, Events and Receipts. Every time I get an email that I need to keep, I label it into one of those four categories. If I need to find it later, and can't remember who sent it, I can just look through the specific label, rather than trawling through my entire inbox. 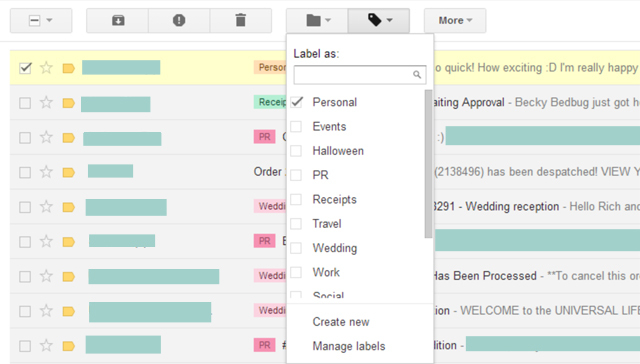 To create a label, tick the box on the left of your email in the inbox and click on the little tag icon at the top. From there, you can select an existing label or make your own. I also colour code mine so they're easy to categorise at a glance. Technology is wonderful these days, right? We can use it for all sorts of useless reasons, but there are more functional possibilities beyond QuizUp. I know, it's crazy! I use the Gmail app on my phone and my iPod, so I receive notifications every time I get a new email and I can read it immediately, even if I'm out and aboout. However, for me, the best gadget is the Google Mail Checker add-on for Chrome. 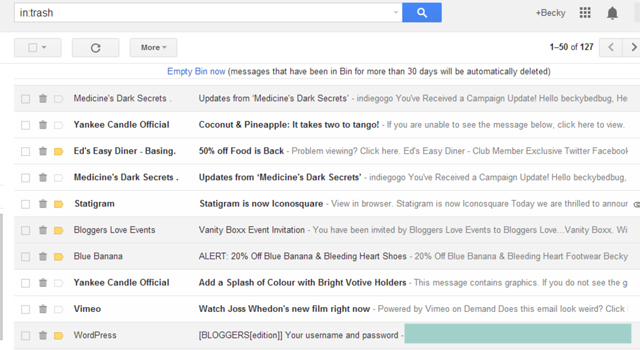 It creates a little icon in the top right of your browser, and indicates when you get a new email. As I'm much more of a laptop blogger than a mobile one, this add-on is absolutely essential for me. I don't need to constantly check my emails because I have a lovely little friendly lookout right in front of me. To install Google Mail Checker, click here. It's been developed by Google themselves so it's as safe as you can get and I totally recommend it. It's common sense but a lot of us don't do it: Delete those unwanted or redundant emails. It's much better to do it as and when you get them, rather than let your inbox build up with junk. Whether it's junk mail or just an email you don't need anymore- Trash it! Don't forget to unsubscribe to those annoying marketing emails, too. At the bottom of them, there will be a link to unsubscribe easily. Some people might not agree with this bit, but I use all of my "empty" time to reply to emails. In the taxi, waiting for an appointment, waiting for the bus... Any of those times when I'm just sitting around with nothing productive to do, I use my phone to catch up on emails. For me, that's much better than just sitting there twiddling my thumbs! I'm sure this is the most obvious thing to say, so I won't dwell on it too long, but it's well worth setting up an email account purely for your blog. It's much easier to deal with blog emails when they are kept separate from your personal ones, and minimises the risk of sending PR details to your boss! It's a lot safer too, since your personal email is likely to have your full name and personal details attached to it, especially if you've had it for several years. Of course, I should probably recommend that you need time to switch off and you shouldn't live your life attached to your emails. If you don't get back to someone for a couple of days, it's not the end of the world and I'm sure they'll understand. We all need a break now and then!